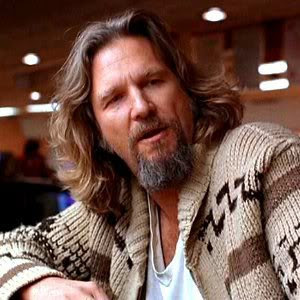 Prediction: Jeff Bridges, the son of Lloyd Bridges, will win the Academy Award for best actor. Crazy Heart represents his fifth nomination for either best actor or best supporting actor, and there is usually some kind of rule about being nominated that many times. The person has to win, even if it's really just a replacement for a Lifetime Achievement Award. All kinds of caveats go into this list. As I was reading his bio, I realized that I haven't seen several movies that are considered JB classics. The Last Picture Show, The Last American Hero, Thunderbolt and Lightfoot (starring another one of my favorites, Clint Eastwood), Stay Hungry (for which Arnold Schwarzenegger won a Golden Globe), Heaven's Gate, Cutter's Way, Jagged Edge, 8 Million Ways to Die, The Morning After, Nadine, Tucker: The Man and His Dreams, Fearless, How to Lose Friends & Alienate People, and The Men Who Stare at Goats. Granted, as I embark on seeing those movies listed above, many will undoubtedly prove to be stinkers, as so many of Bridges' movies over the years have been (especially many of his countless romantic-comedy roles). Final caveat: I love sci-fi, but I distinctly disliked Tron, which I saw at the Wildey Theater in Edwardsville, Illinois when I was 11 years old. Maybe I should revisit that one. Surely, all my media tech grad-school classmates at Georgetown would urge me to do so. Feel free to let me know where I'm screwing up this list.